A delicious hot and sour prawn soup simmered in lemon grass, lemon and lime juice. A favourite item with just about any meal, this fried rice dish goes great with seafood soup. Spiced with Thai chili sauce, these beans pop off the plate with mouth-watering flavour. 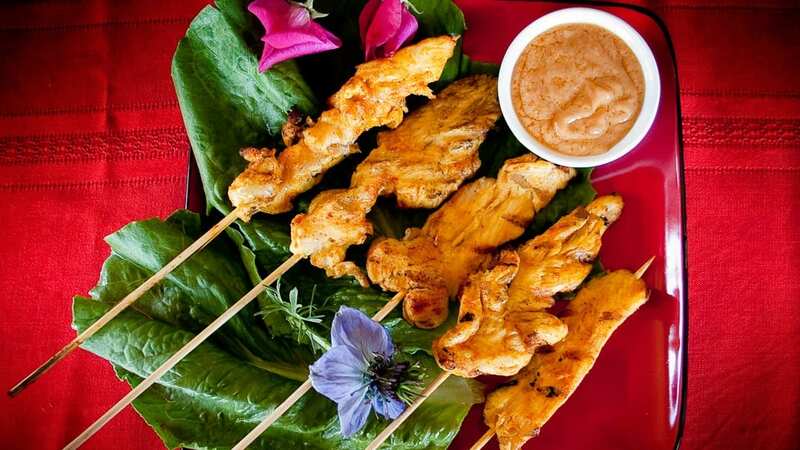 Barbecued to a golden brown and served with Peanut Sauce, these are a sure party favourite. Tender pork ribs cooked to a turn with ginger and garlic sauce and special Thai spices.